First of all, welcome back everyone. Hope everyone had a great and relaxing break for Christmas and New Year. (Is anyone still sticking to their New Year’s resolutions? No? Thought not). Anyway, here’s to a fantastic 2016. 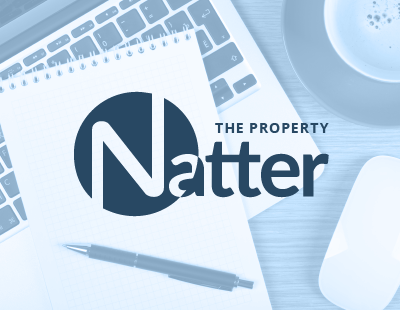 And, to kick things off in fine style, I’m going to spoil you with the latest edition of Property Natter. This week’s Natter, as you can see from the title, is based around the following question: “Pay what you want - yes or no?” As you’ve no doubt seen, there has been a recent trend for certain agents offering clients the chance to pay what they want based on the service they receive. But will this catch on or is it merely a shameless, PR heavy gimmick? Everyone’s favourite estate agent Foxtons has just opened five new branches, offering 0% commission for first-time vendors. Similarly, Anthony Pepe, an estate agency based in North London, launched its Zero to Hero fees policy last October. This allowed vendors to decide what they paid, even if this was the grand sum of absolutely nothing. Nada. Zilch. Madness, you might say. Incredibly risky, you could also say. However, the policy was only introduced for a limited time only and the firm were clearly confident enough in their service to take such a risk. There might be something in this. It was certainly a bold move, but it might not be an entirely silly one. If clients know you’re not taking the mickey, they are likely to not take the mickey in return. Trust is everything when it comes to selling homes. Saying to vendors that you can pay what you like is putting the ball in their court. It’s like tipping at a restaurant or putting money in an honesty box. There is no law that says you have to do it, but it’s seen as good manners to do so regardless. Accepted custom, if you like. If the service you receive in a restaurant is excellent, you’re inclined to tip more. Something similar might occur here, with estate agents. If a client is happy with the service they have received and haven’t already been faced with a set commission fee, they may willingly pay a little bit more, even without coercion. Such schemes are not, in most cases, anything to do with desperation, but they could easily be perceived that way. There is also the argument of: do the public really mind what they pay? The papers like to cause a fuss about high fees and greedy estate agents, but the public at large doesn’t necessarily see it that way. 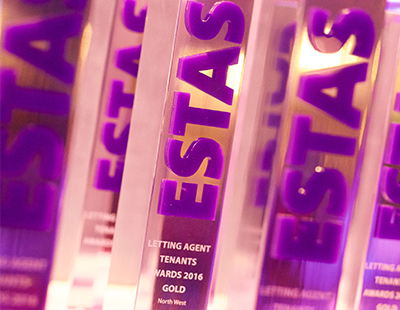 Estate agents get a bad press – there can be no real denying that – but the reason they exist as a profession is because people don’t have the time, inclination, expertise or knowledge to buy and sell homes off their own back. Estate agents do a lot of unseen work that helps to get homes sold, so shouldn’t they be allowed to charge a fair and representative fee? There is no real research to suggest that the public would rather pay less. In fact, most studies seem to conclude that customer service is far more important than fees. Having said that – and I’m playing devil’s advocate here – there is also an argument that set fees encourage complacency. If agents know they’re going to receive a certain fee, regardless of the service they offer, there is a chance they could cut corners, become demotivated and not go above and beyond the call of duty in the way they might if their fee was not guaranteed. The whole carrot and stick argument, I guess. As these “pay what you want” schemes are usually for a limited time only, it doesn’t seem like something that will become a permanent feature in the estate agency world. Nonetheless, with more online agents entering the market promising low fees and equal levels of service, and the age-old desire of people to get maximum value for money, these kind of schemes may become more prevalent, even if they are only temporary or an exercise in good PR.